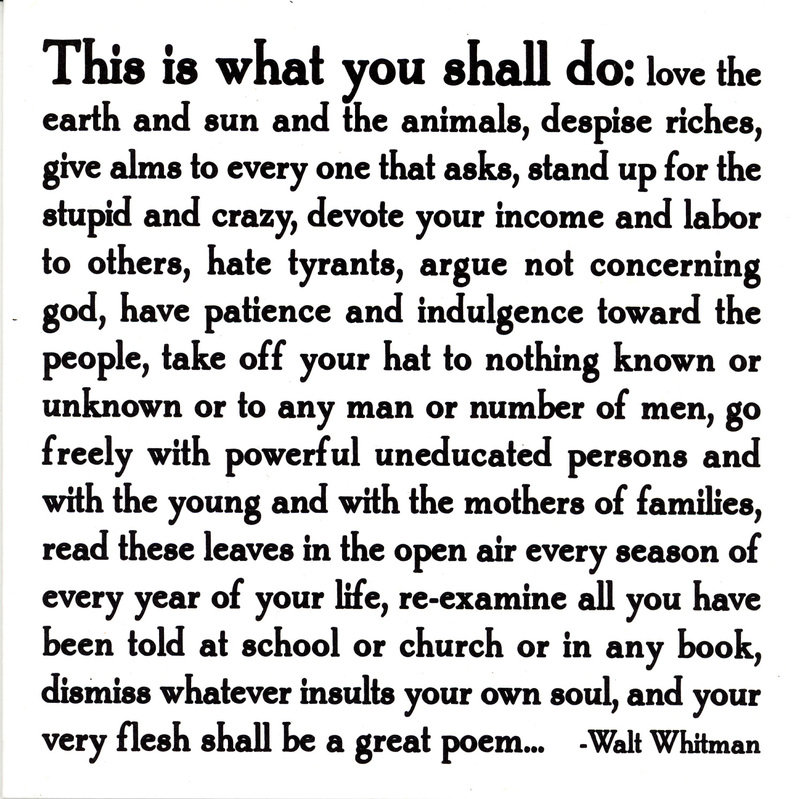 This quote is from Whitman’s preface to Leaves of Grass. I’ve been reading these words every day when I sit at my drawing table, and hear the beat of a different drummer as they settle into my mind. I wonder what Walt would make of the world today? I have a feeling that his preface would not change as the advice is timeless. I do thank you for publishing these wonderful words.